A lawsuit claiming that Harvard University unlawfully discriminates against Asian-American applicants during the college admission process may finally come to court this summer. The lawsuit was filed by the conservative non-profit Students for Fair Admissions (SFFA), which claims that Harvard caps the number of Asian students it accepts (1). The founder of SFFA — Edward Blum — is an anti-affirmative action advocate “who for decades has been rounding up white plaintiffs to challenge racial policies” (2). This lawsuit is in light of the University of Texas affirmative action Supreme Court decision that allowed race to be a considerable factor for college admissions (3). Harvard strongly denies allegations of instituting an illegal quota on Asian students and maintains that it values diversity (1). In light of this lawsuit, Harvard initially declined to turn in its records of thousands of applicants to the Department of Justice. Only last December did the school meet the demand with a compromise: the Department could only peruse the files in the offices of Harvard lawyers to ensure the privacy of applicants (4). Harvard is coming under fire for allegations that it’s not abiding by its Title VI responsibilities. Title VI of the Civil Rights Act of 1964 outlawed discrimination based on race, color, national origin, along with other factors; this means that if found guilty, Harvard could be facing a violation at the federal level (5). SFFA “recently finished data analysis of about 200,000 Harvard undergraduate admissions files” in order to detect patterns of discrimination; they want to have a trial before October 1st (1). This ruling is a challenge for affirmative action as a whole, potentially affecting who gets accepted to elite Ivy Leagues and private colleges around the nation. The main vendetta here is simply between pro-affirmative action vs. anti-affirmative action efforts. The former believes in giving equal opportunity to students of disadvantaged backgrounds, while the latter believes doing so corrupts admission process by selecting those who do not “deserve” to be admitted. The Georgetown Center on Education and the Workforce conducted a 2013 study on the racial makeup of colleges around the nation, and found that in comparison to the total population, “white students are now more over-represented at the most selective U.S. colleges than they were in 1995” whereas Hispanic/Latinx students “became more severely under-represented, as their enrollment at top schools failed to keep pace with their population growth” (6). It found that the “white flight” syndrome — a practice known to be referencing white students fleeing cities to the suburbs for better schools — is found in the top-tier college environment as well. Post-secondary education replicates white racial privilege when making selection for top-tier schools less accessible to students of color, which can be especially seen at prestigious four-year institutions (7). 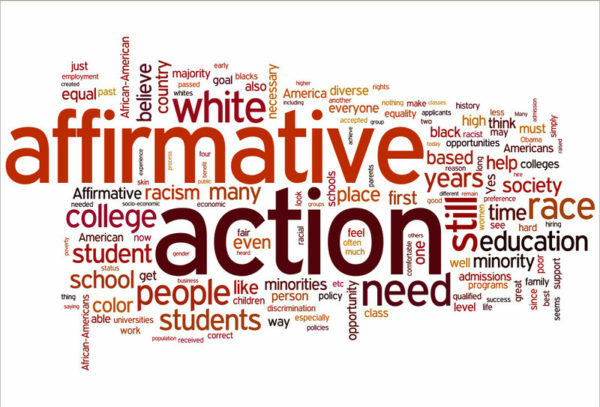 Affirmative action policies aim to fight against this racial exclusivity by taking racial and ethnic background into consideration during a holistic application review process. By recognizing that many students of color have to deal with a myriad of issues, such as discrimination, immigration, access to resources, being a first-generation college student, microaggressions, and poverty, schools are able to admit well-deserving students who have the potential to soar when given the opportunity. 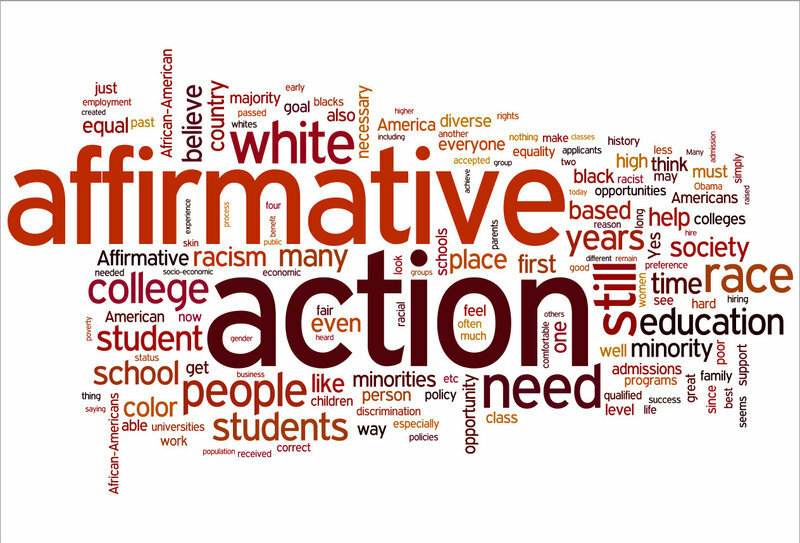 One of the first major decisions involving affirmative action was University of California Regents v. Bakke. This lawsuit was taken to the Supreme Court after a white applicant was denied admission from the UC Davis Medical Program,and claimed the 16% minority quota was discriminatory against him. While the ruling favored Bakke and forced UC Davis to admit him, the judges also ruled that colleges should take race as a factor when accepting applicants (8). In our current administration, President Trump has signaled that he would be redirecting the Justice Department to investigating and suing colleges who use affirmative action policies (9). 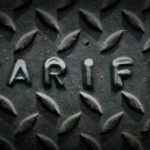 The timing for the Harvard case could not come at a better time for SFFA and other anti-affirmative action advocates. The allegations against Harvard for discriminating against Asian American students in order to accept “less qualified” people of color seem far-stretched. When creating more opportunity for those who have had been institutionally and systematically oppressed, why does that equate to diminishing equality for other groups? If lack of diversity is the issue, affirmative action attempts to alleviate it by breaking down racially segregated higher institutions. “Regents of the University of California v. Bakke.” Oyez, 12 Mar. 2018, www.oyez.org/cases/1979/76-811.